When it comes to dieting, there is no dearth of people and organizations advising and suggesting one diet or the other. All of them claim that they have found the secret recipe for losing that extra weight, or achieving some other health or fitness related goal. Social media is flooded with adverts and testimonials claiming the success of diets. But the final judgement as to whether a particular diet works or not rests with one person - you. It is up to you to try out various diets and decide which one truly works for you. Most diets, when first introduced, enjoy an initial period of success and popularity; but it is only the diets that have truly worked for many that ultimately stand the test of time. So check out the five best diets of 2017, that have been accepted as successful by enough people to emerge as true leaders: They also aid in recovery treatment program. As the name suggests, the DASH diet is an approach to help people lower and control their blood pressure. But over the course of time, it was found that people on this diet lose weight in the long term. Now it is popular among people who are looking for a simple but effective diet to keep their other parameters in check too. Eating a variety of foods rich in nutrients like potassium, calcium, and magnesium. In a span of two weeks, your blood pressure will reduce by a few points. 8 to 14 points are known to drop after this diet. Reduces the risk of heart disease, stroke, and diabetes. Reduces LDL or bad cholesterol in the body. Increases HDL or good cholesterol in the body. Reduces the incidence of obesity. Lowers the risk of cardiovascular diseases. Reduces the incidence of Parkinson's, Cancer and Alzheimer's diseases. In women, it reduces the risk of breast cancer. Comprises primarily of plant-based foods. Use olive oil and canola oil instead of butter. Use herbs and spices instead of salt for seasoning. Eat fish and poultry twice a week. Drink red wine (in moderation). Going meatless most of the time, while not abandoning meat altogether, is the idea behind this flexitarian diet. Instead of becoming a vegan or vegetarian completely, you can use this diet to primary stick to veggies, while occasionally having meat. The diet is aimed at minimizing consumption of meat and encouraging vegetables. 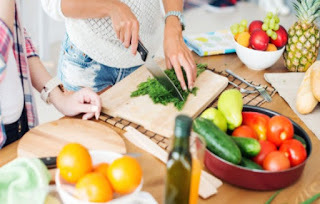 Avoiding meat for two to three days a week is the goal; and if you are sufficiently motivated, you can even go meatless four to five days a week. A diet designed to improve fertility naturally, this diet is a huge hit among couples who are looking forward to a baby. Offers antioxidants, vitamins, and minerals to protect egg and sperm from free radical damage. Helps maintain sexual appetite and health. Helps build nutrient stores for pregnancy. Organic, grass-fed, whole fat, raw dairy. Eat grass-fed and organic meat. As we said at the beginning, it is up to you to decide which diet is the best one for you. But no matter which diet you adopt, be sure to follow it diligently, so that you are able to reap its benefits to the fullest. Jessica is a passionate writer and blogger and contributes to Health Online, a consumer health website that aims to equip its readers with the right knowledge and means to maintain good health.